Deltour has contributed to various charities such as ALS, Alpe d’Huzes, Kika and other charities over the past few years. We do this because we like to support the efforts made by our friends, customers and suppliers in raising money for charity. Deltour supports several charities, for instance Swimm City Amsterdam. As we are only a small company, we are unable to support everything, but should you feel connected and you want to support a good cause, then do not hesitate to ask us for a contribution. We like that and we feel that when things are going well for us, we should do something in return for our society. 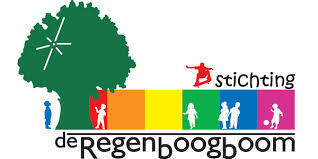 The Rainbow Tree Foundation (Stichting de Regenboogboom) helps children that face an illness, a trauma or a disability. Rainbow Tree Foundation helps these children in discovering that they can create an inner feeling of safety and freedom by themselves, whenever they feel the need to do so. This helps them to deal with their difficult circumstances in a more self-confident, tranquil way, and with lust for life. Deltour supports the Rainbow Tree Foundation by making an annual contribution. Deltour’s current owner, Otto Staleman, studied with Evert Jan van Zandvoort in Delft in the eighties. Together with his wife, Evert Jan started the Rainbow Tree Foundation after his years in Delft. 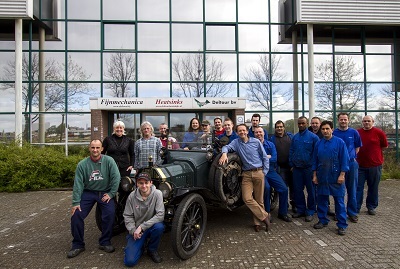 Dirk and Trudy Regter drive around the world in their 1915 Model T-Ford to raise, among other things, money for SOS Children’s Villages. After each stage of the T-Ford World Tour, Dirk and Trudy and the T-Ford return to the Netherlands. Even though the Model T-Ford is a very reliable car, a 1915 Model does need repairing, occasionally. T-Ford World Tour is on the road for SOS Children’s Villages. In case this is possible, Deltour supports this charity by repairing car parts or by replicating entire car parts. Deltour’s precision manufacturing expertise is very useful as support in kind to the Model T Ford World Tour.